Canonical is offering enterprises a chance to try cloud computing via a virtual appliance that bundles Ubuntu Linux with the IBM DB2 Express-C database running on the Amazon EC2 (Elastic Compute Cloud) public cloud platform. The free appliance, which features Ubuntu Server Edition 10.04, also can be deployed in private cloud configurations. DB2 Express-C enables developers to test applications to see if they can be used in a cloud, said Neil Levine, Canonical vice president of commercial services. Applications such as data analysis and Web frameworks can be tested, he said. “This is a very easy way for the enterprise to try out [cloud computing],” Levine said. 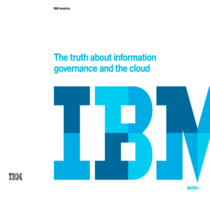 IBM endorsed Canonical’s cloud effort. Canonical is making the announcement at the O’Reilly Open Source Convention (OSCON) in Portland. Canonical is talking with IBM about possibly bundling Ubuntu Linux with an enterprise level version of DB2, Levine said.